But after checking out how festive-like the decorations for Hari Raya in 1 Utama, I am starting to get really excited for it! Taking the theme of 'Meriahnya Syawal' inspired by how we celebrate Hari Raya when we go back to our hometown or as we all endearingly call 'Kampung', 1 Utama took a big effort to decorate their LG Oval concourse in order to recreate the nostalgic feeling of Hari Raya just for us city people. Don't believe me? I guess more pictures will tell a better story! You need to check it out for yourself actually; how realistic the 'penghulu' (head of the village) house is with fully functioning kitchen using the appliances courtesy of Belling and Way where live cooking demos happens on selected dates. Make sure to catch the ever-so-charming Chef Sherson Lian on his second cooking demonstration on 12th July 2015 at 3PM! Or another demo from Chef Zaidah a day before that at 5PM. I was lucky to be able to check out Chef Sherson's first cooking demo but my blogger friend Arpita was even more lucky as she get to be his assistant of the day! While at that, make sure to check out every nook and cranny of the LG Oval concourse because every spot I've been to the other day were decorated with such details it would definitely be Instagram worthy! There are a few spots which I like the best so make sure to check them out. I'll give you some clues, just find these places in the pictures below! By the way, do you know that the grasses in the pictures are actually real grass? To bring out the authentic feeling like you're in a real 'Kampung', 1 Utama took a great length of measure to bring these grasses which are planted and showered everyday to maintain its green. Not to mention all that intricate decorations to show how much effort being put to create such a realistic 'Kampung' feeling. Starting from 26th June to the upcoming 20th July 2015; Hari Raya events, acivities and promotions has been going on for shoppers to participate. Apart from the cooking demonstration, there are shopping bargains and festive promotions, entertaining dance and performances, weekend bazaar, fashion shows and my most look forward to buka puasa fare! 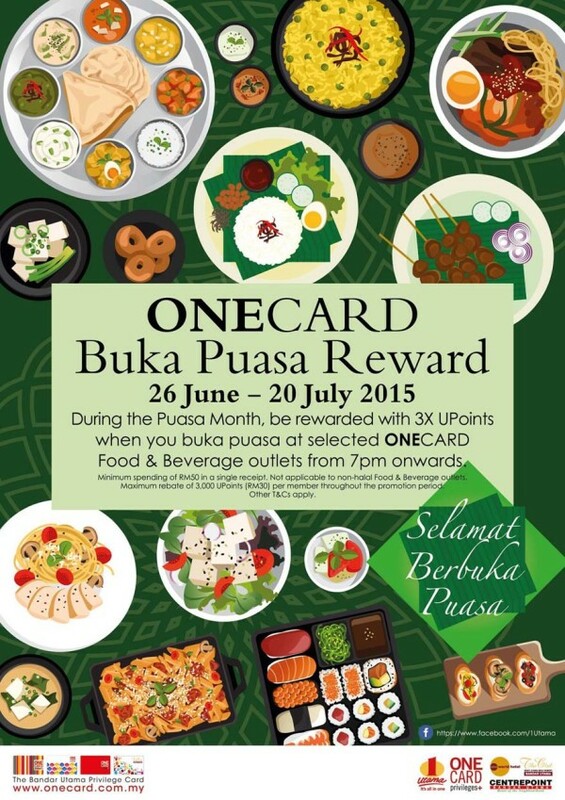 Not only at the LG Oval concourse 'Makan Village' where you can get varieties of traditional foods like rendang, ketupat, lemang, Hari Raya cookies and many more, there is also the Hari Raya ONECARD Buka Puasa Reward for us to enjoy! For ONECARD members who dine or make purchases after 7PM at selected ONECARD Food and Beverages Outlets (which I will list some of them down below) will get to enjoy exclusive benefits! 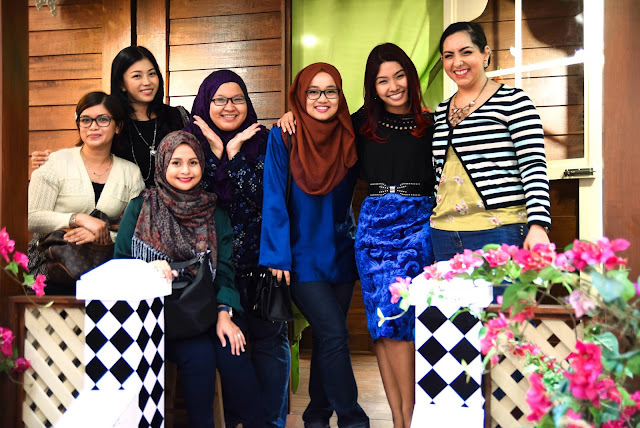 If you're looking for new Baju Raya, make sure to head off to the GF Centre Court consourse because you will get to check out all things faboulous, fashionable and up-to-date there! 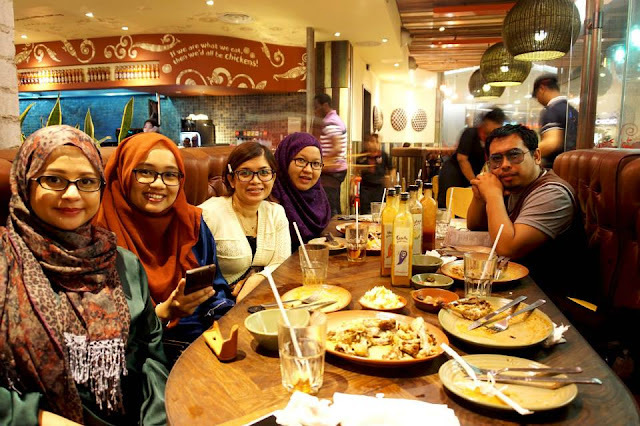 As for me, I am planning to go to 1 Utama once again this weekend to do my long overdue Hari Raya shopping and maybe buka puasa with some friends there too like I did the other day with my bloggers friend! well they are mostly still out of focus need to learn more.